Ahh, the first day of Spring. At least for some of us. The forecast, per the usual, isn’t looking too bright for us Minnesota peeps. But at the very least we can start thinking or rather, dreaming of Spring and things such as flowers, grass and warmer weather. I really need all that I can get to remind me that it will eventually get nicer. To say it’s been a rough winter would be an understatement. I don’t want to complain or anything, but seriously…anyone with me? Midwesterners, East coast friends?! I know we’re not alone here. 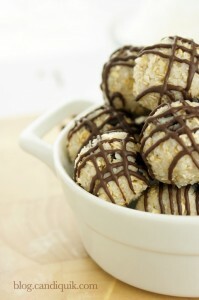 I was inspired to make these from a cupcake I saw on Pinterest about a year ago. 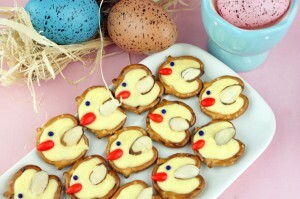 These were very simple to make and look how cute they turned out! 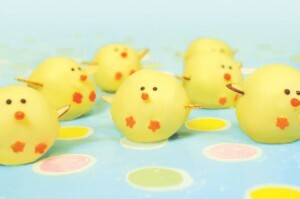 You could easily serve these on their own or also use them as a cupcake/cake topper. I had some leftover Valentine M&M’s and they worked perfectly for Spring colors – I just left out the red colored ones! Or you could always buy Spring colored ones – haha. Make sure you buy the dipping sticks because normal pretzel sticks won’t be nearly wide enough to support an M&M. Also, when you dip the pretzel stick in the Vanilla CANDIQUIK, let it sit for a couple minutes before you attach the M&M’s because they are heavy and might slide to one side if the coating hasn’t started to set. If you wanted to, you could even add a couple dots for eyes, but I think they are perfectly cute as-is! Here’s the how – to! 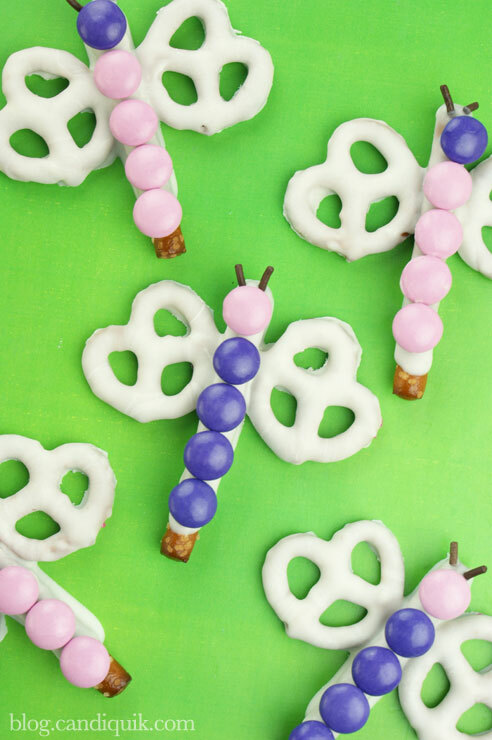 Cute butterflies made out of pretzels and candy - perfect for Spring! Dip pretzel sticks in coating and place on wax paper to dry. 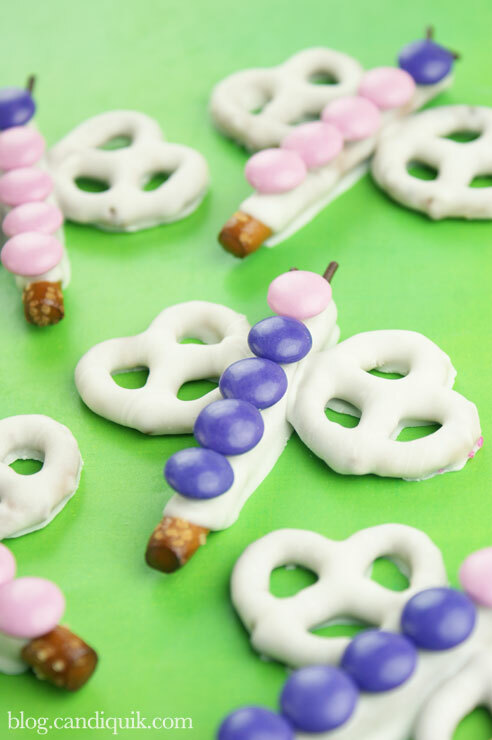 Once almost dry, place 5 M&M candies on top of the pretzel to form the body and head of the butterfly. Press two brown jimmies on the front of the pretzel as the antennas. Dip two pretzel twists in vanilla coating and press one pretzel on each side of the pretzel stick; let dry.